Morey's Piers in Wildwood will partner with the International Special Events Society to debut Memoreys by Morey’s Piers. Memoreys is Morey’s Piers special events department, hosting a variety of celebrations, weddings and meetings in a premiere and iconic shore destination. Morey’s Piers and Beachfront Water Parks, the classic seaside attraction located in Wildwood, NJ, is famous for entertaining generations of families and creating lasting family memories. 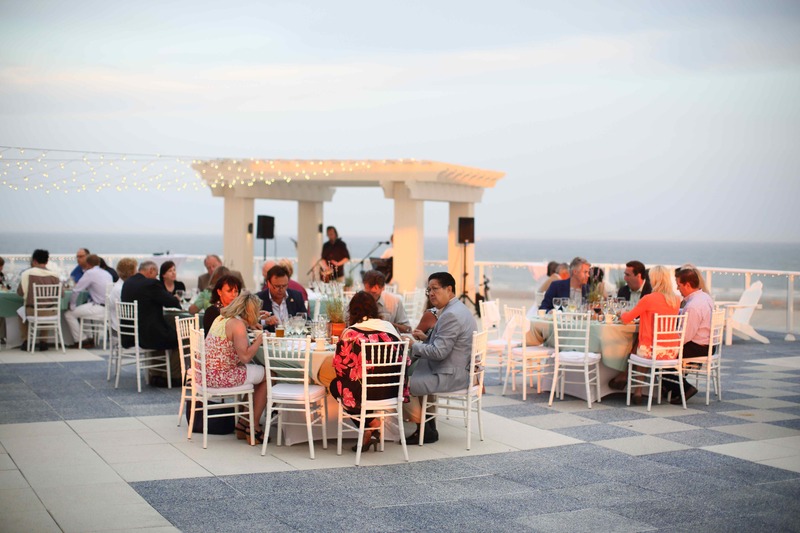 On May 15, 2014 the South Jersey Chapter of the International Special Events Society (ISES) will partner with Morey’s Piers to debut Memoreys by Morey’s Piers to the wedding and special event community. Memoreys is Morey’s Piers special events department, hosting a variety of celebrations, weddings and meetings in a premiere and iconic shore destination. This all day event will include a private tour of the Wildwoods Convention Center with Director of Sales, John Lynch, a delicious lunch at Jumbo’s on Morey’s, Mariner’s Landing Pier, a private tram car experience and a tour of the Cape May Lewis Ferry. The day will conclude at 5PM with a networking dinner event at the Pan American Penthouse, located atop Morey’s Piers Oceanfront Pan American Hotel. This hotel overlooks the pristine beaches of Wildwood Crest, NJ and is just one of the many premiere event spaces offered by Memoreys. Wedding Planners, Meeting Planners, Destination Management Companies, and event professionals around the world are invited to experience Memoreys by Morey’s Piers. There are discounted overnight hotel rates and complimentary transportation from both Hammonton and Atlantic City provided by Rapid Transportation. Memoreys by Morey’s features six unique venues, providing a variety of settings for destination weddings and special events. Each venue also has a full spread of catering options to choose from. The International Special Events Society (ISES) is comprised of over 7,200 event professionals in over 35 countries representing special event producers, wedding and party planners, caterers, decorators, florists, destination management companies, rental companies, special effects experts, tent suppliers, audio-visual technicians, party and convention coordinators, balloon artists, educators, journalists, hotel sales managers, specialty entertainers, convention center managers, and many more. ISES provides education and networking to its members to promote professionalism in the special events industry, which benefits the consuming public. ISES New Jersey South was founded in 2008. It hosts monthly events at various networking and educational events throughout South Jersey between September and June. Each event features a unique opportunity for special event professionals to network and includes speakers and a wide variety of topics pertaining to the event industry. If you would like more information about this event or to schedule an interview, please contact Kelly Shearer at Corporate Pajamas Marketing at 609-388-4817.